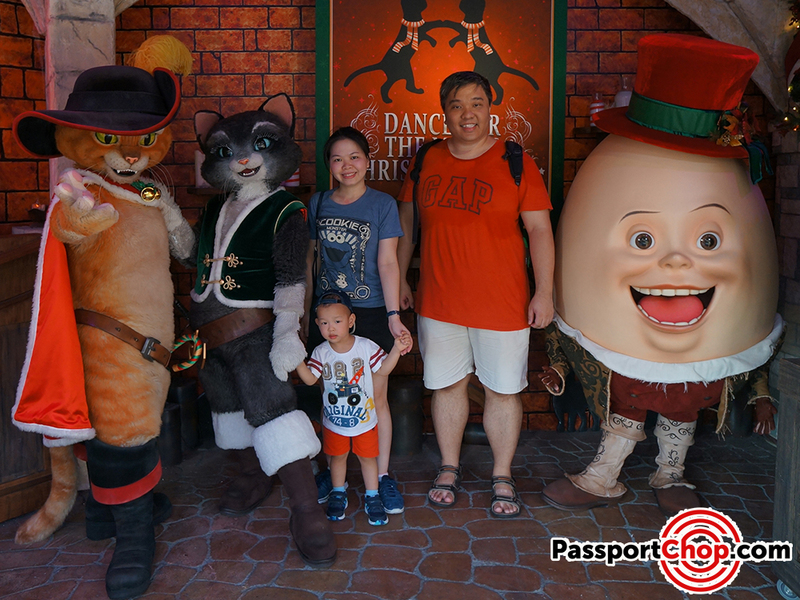 Having experienced Christmas at Universal Studios Singapore in previous years, we were glad to check out this year’s (2017) version of Universal Studios Singapore (USS)’s A Universal Christmas. 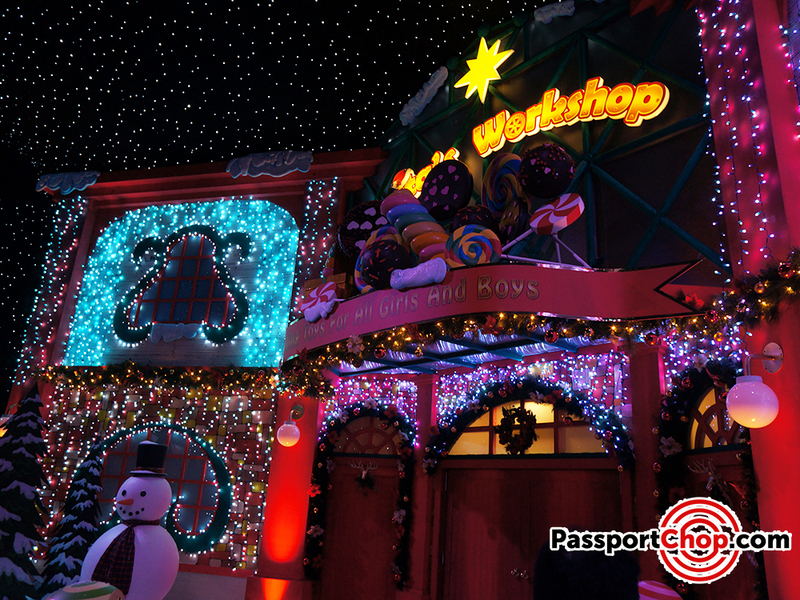 Besides a 15 metres tall Christmas Tree House at the Hollywood area, you can also look forward to an interactive Santa’s workshop (which is an improved version of last year’s Santa’s workshop). 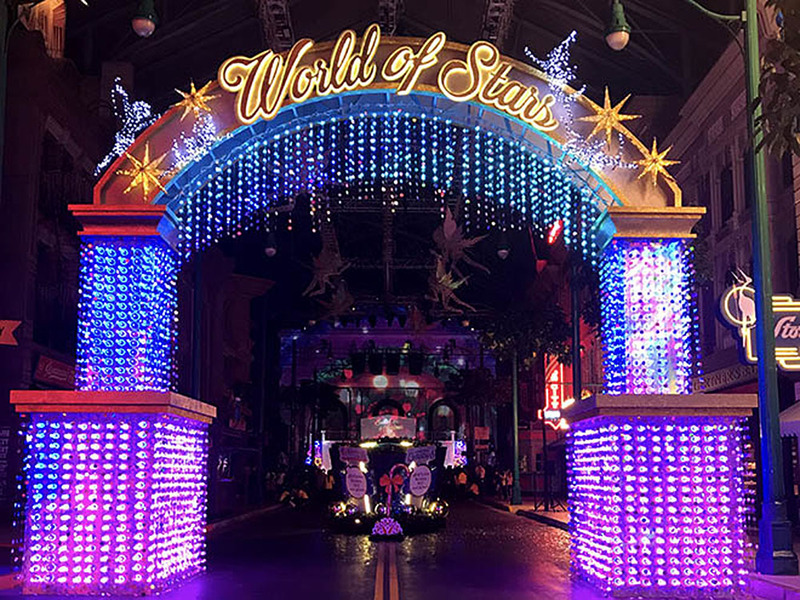 There are also exuberant musical performances throughout the day and multimedia light shows and a spectacular fireworks display at night. 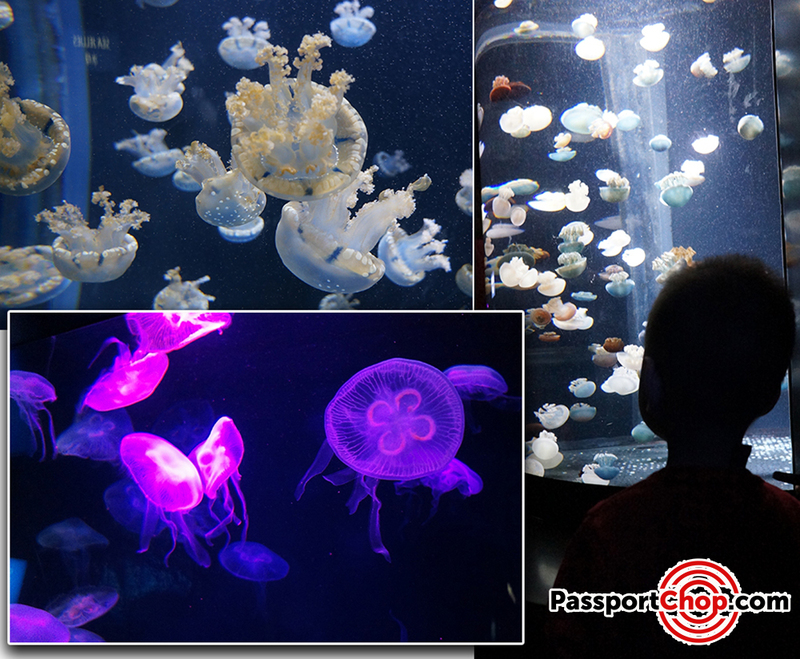 We also checked out the SEA Aquarium with its interesting Merry Fishmas theme. 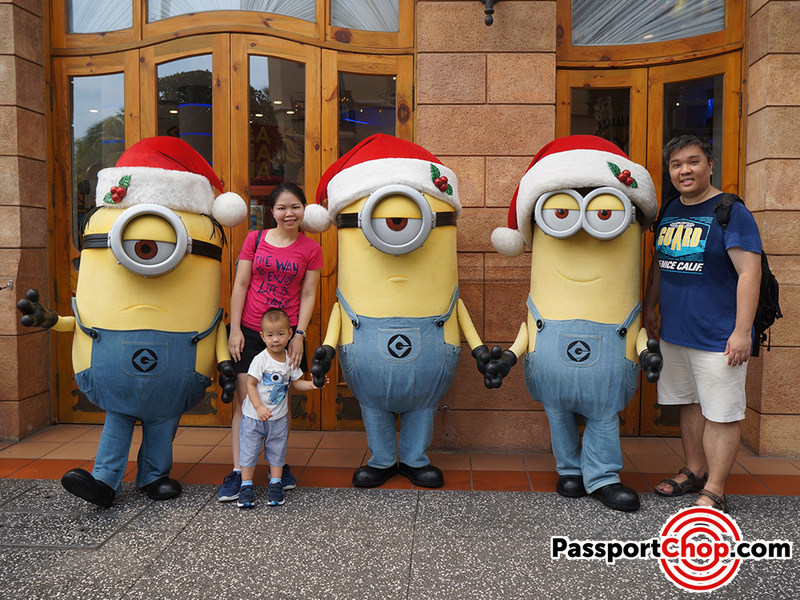 In this blog post, I will share with you what you can expect and some tips to ensure you have the best Christmas experience at both Universal Studios Singapore and SEA Aquarium with a 2D1N staycation. As these events start at or after 12 noon, you can check out some of the exciting rides when Universal Studios Singapore opens at 10am. Also, you can get some photo opportunities with your favorite characters e.g. the Minions, Transformer Autobots, Sesame Street characters throughout the day. 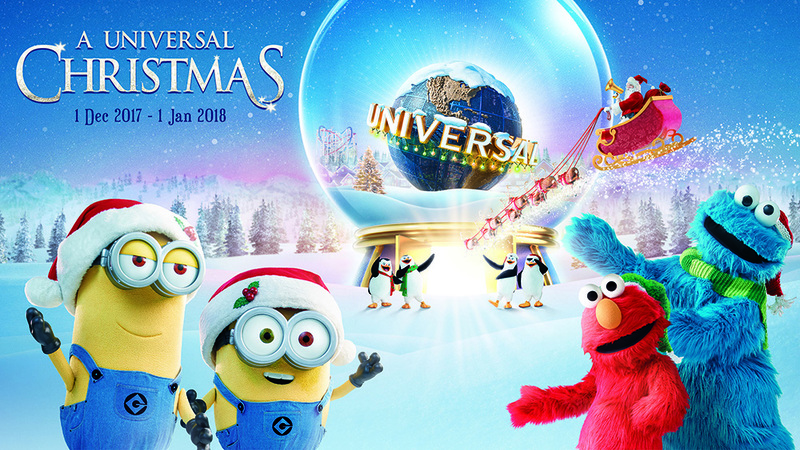 Check the Universal Studios Singapore event listings for the latest timings. 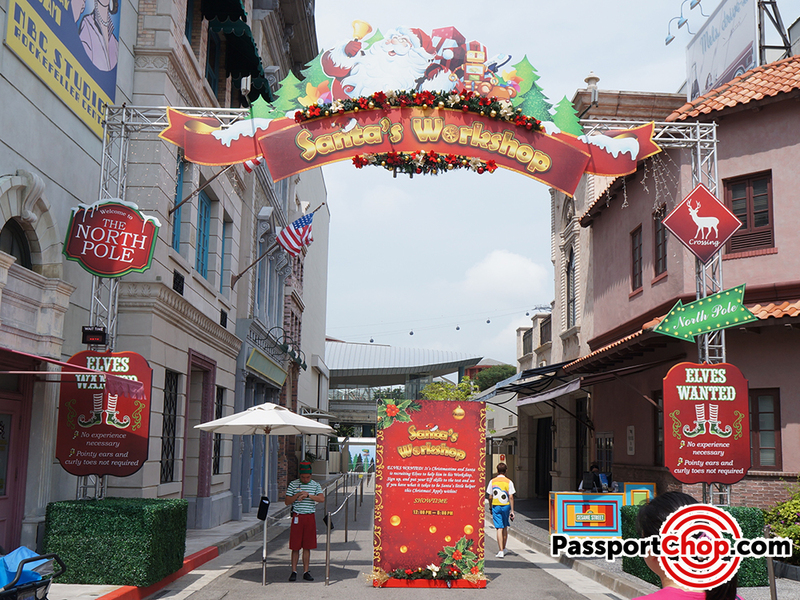 Expect long queues for the Santa’s workshop as visitors are brought into the workshop in groups and have an immersive interactive experience at each of the mini-workshops. Go early if you can – we were there at 12 noon and the queue was not long – just 4-5 families. 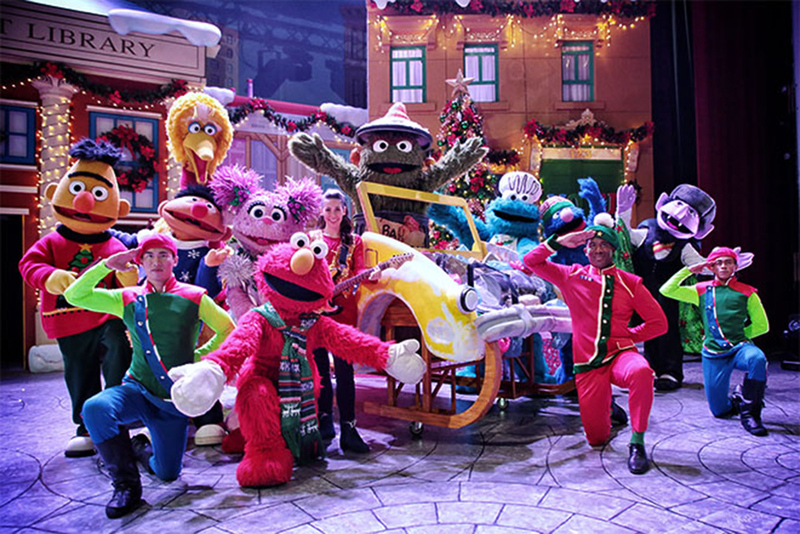 The queue for Santa’s Workshop starts at Vine Street, next to Sesame Street Spaghetti Space Chase. Everyday starting from 12 noon and every 2 hours until 8pm, you can welcome Santa Claus and his entourage comprising elves and reindeer as they parade down the streets of New York. 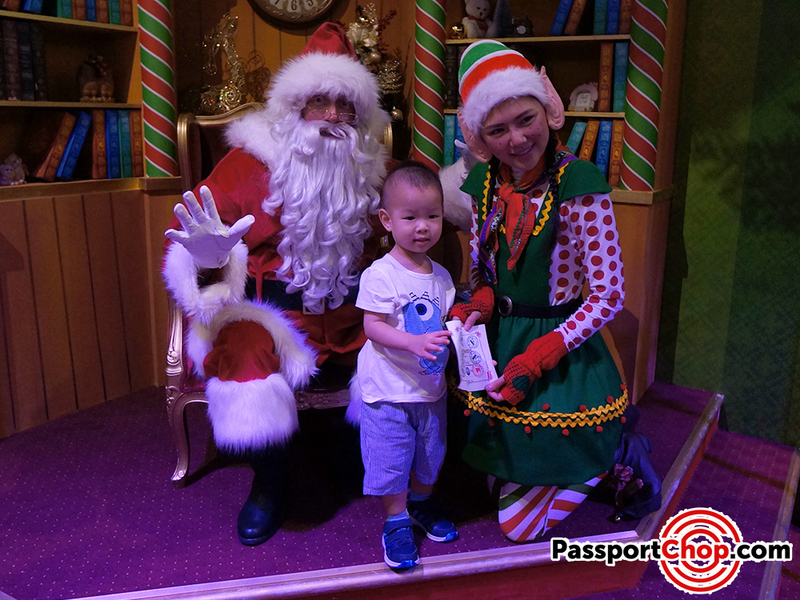 The parade ends in front of the 15 metres tall Santa’s Christmas Tree House at Hollywood Lagoon and you will have a photo opportunity with Santa Claus and his elves. Throughout the rest of the day at Universal Studios Singapore, don’t miss the other street performance and entertainment e.g. 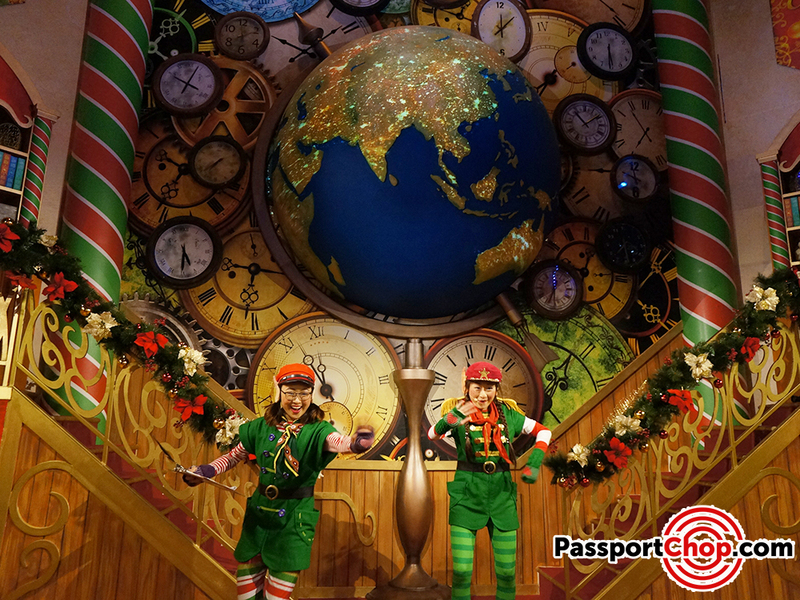 Dance for the Magic Christmas Beans at Far Far Away where you can see Puss in Boots in action (11.40am, 1.40pm, 3.40pm, 5.40pm – timing subject to change). Also there are choir performances by the Jingles and a Christmas show of “Under the Mistletoe starring Marilyn Monroe and Betty Boop”. In the evening at 7.30pm, you can witness a flying Airy Fairy swishing her magical wand to light up the streets of New York. This sets the stage for Search for a Christmas Star, a talent competition in search of well, a Christmas star. 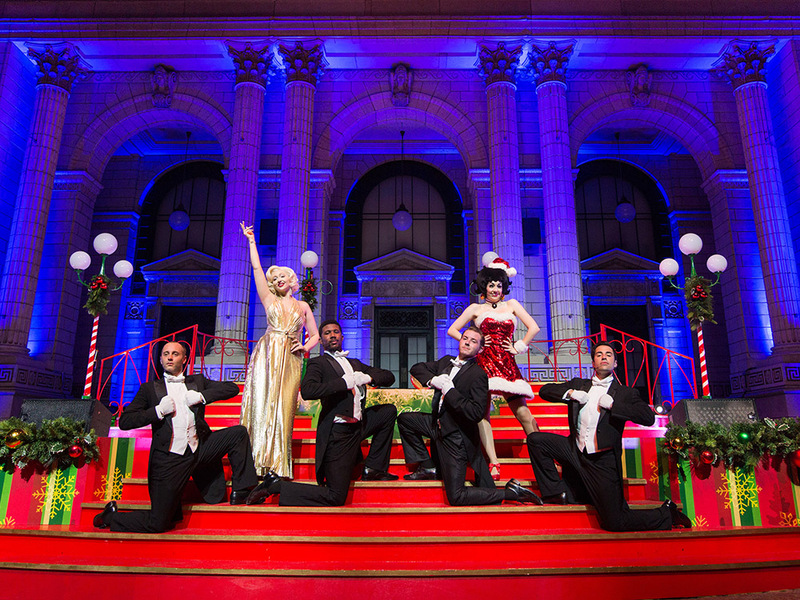 The Search for a Christmas Star (2 shows daily at 7.30pm and 8.45pm at the New York Public Library) is a music and dance extravaganza featuring aerial acrobatics, special effects, snowfall and state-of-the-art projection mapping. Again, for the kids and young at heart, there will be lots of confetti snow a perfect way to end a long day at USS Universal Christmas experience. The theme for SEA Aquarium is Merry Fishmas! 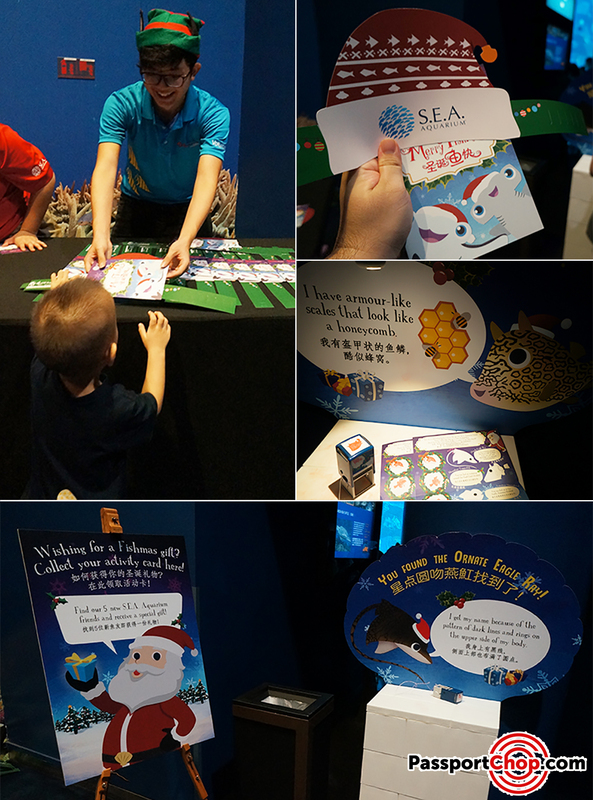 There is a game (called Santa Introduces Five New Friends) for all visitors to the SEA Aquarium – collect your card from SEA Aquarium staff at the entrance of Shark Seas Habitat and use it to locate fishes in the aquarium. Get a stamp on your card at the designated stamping stations and if you find all the fishes (5 of them), you can pick up your prize at the Ocean Dome. 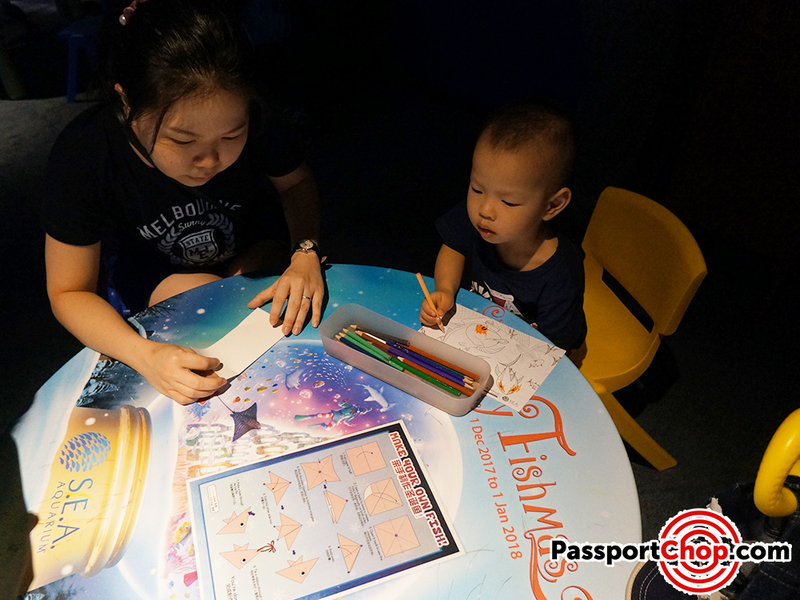 There are also designated coloring stations at the Open Ocean Habitat area where your kids can fold origami and do coloring of fishes. Perfect way to take a break after a long day at the aquarium. 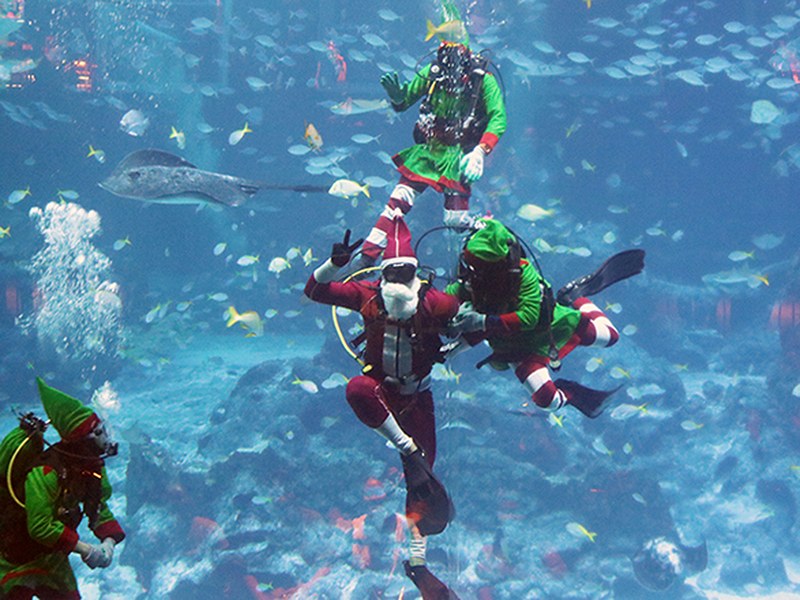 Also as you make your way to the Ocean Dome area, catch the Crazy Elves Underwater Show at the magnificent Open Ocean Habitat, as Scuba Santa and Elves dive amongst sharks, manta rays and hundreds of schooling fish. This show is at 3.30pm daily and there is an additional show at 1.45pm from now til 1 Jan. There are also meet and greet opportunities with Mai the manta ray and the new Sam the hammerhead shark mascots. 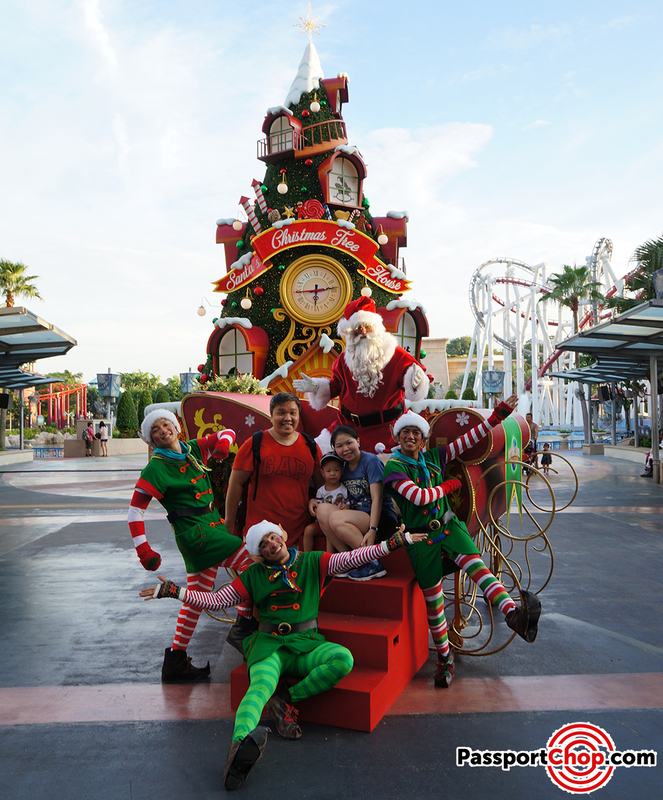 They are all decked out in their Christmas outfits and will join Santa and Elf for a merry photo-taking session. 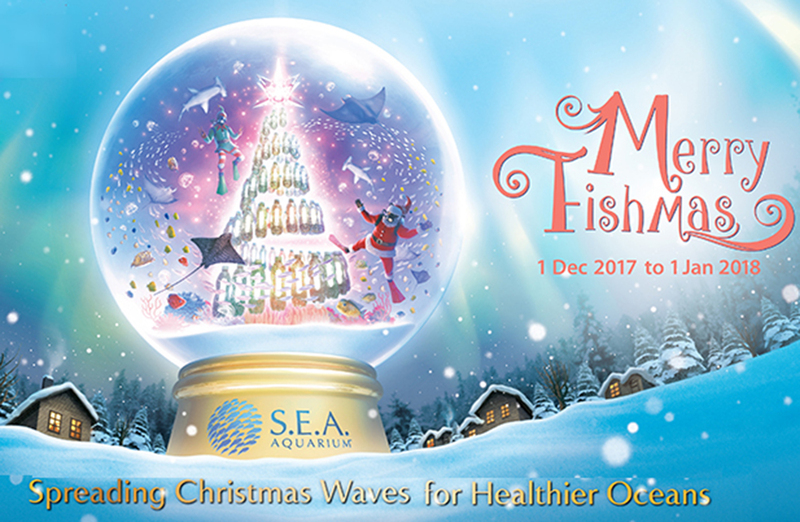 There are many other activities at the SEA Aquarium during this Merry Fishmas celebrations so do check with SEA Aquarium staff for the latest performance and meet and greet timings. 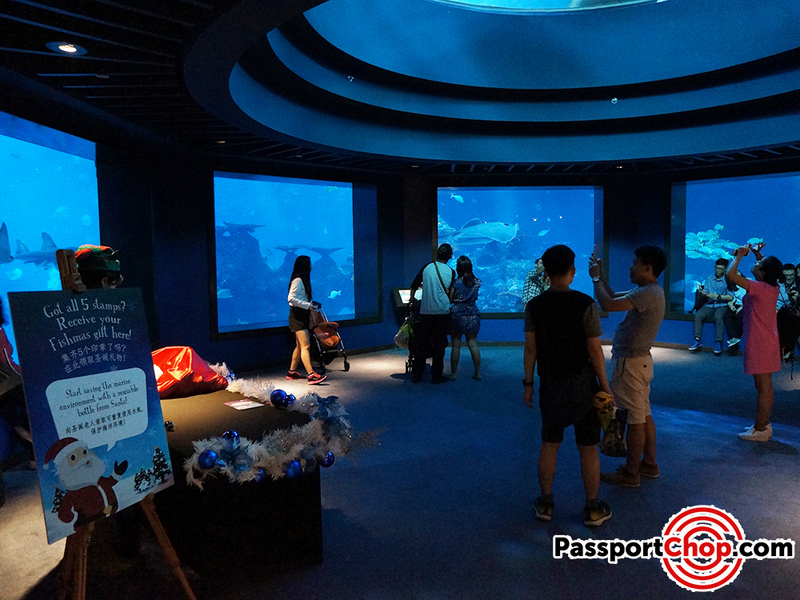 Besides these Christmas events, you can of course check out the wonderful displays of fishes and marine animals in SEA Aquarium. 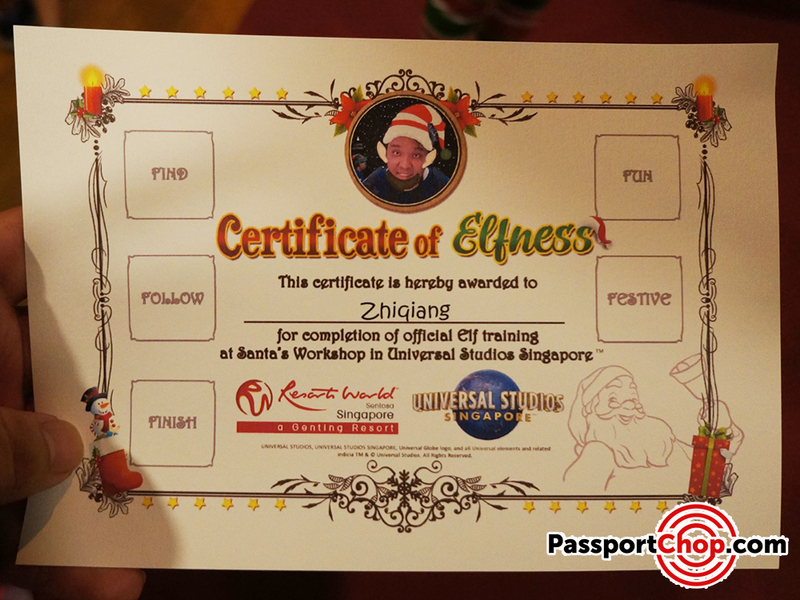 I can only assume how wonder it would be celebrating or at least being around Universal Studios Singapore and SEA Aquarium during Christmas. They look so enticing. Have a wonderful Christmas Holidays! That sound so amazing.May this new year brings happiness and more trips. 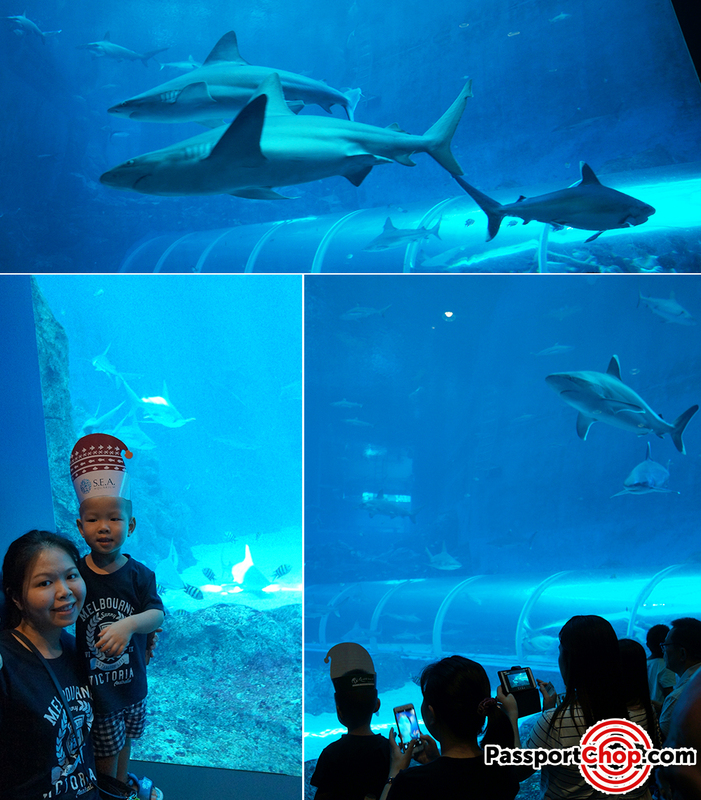 Universal Studios and the Aquarium is a fantastic place to spend good time with family and friends.I have visited this place last year and it was a wonderful place to be. Thanks for sharing this.